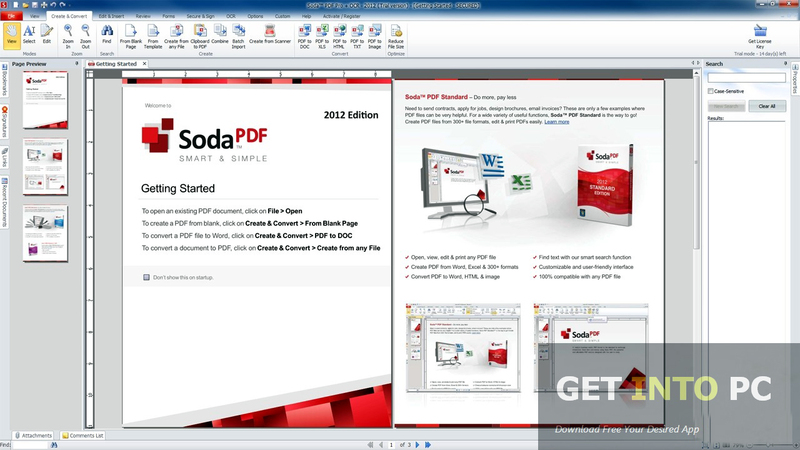 Soda PDF Pro Free Download Latest Version for Windows. It is full offline installer standalone setup of Soda PDF Pro Creator, Editor and Converter for PC. Soda PDF Pro is an application that has been designed in such a way which will assist you to edit, convert and create PDF files. You can also use its online services in order to save, manage and access files in the cloud. The application is bundled with lots of features but it still host a very simple interface. 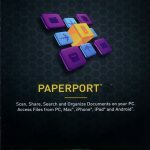 Soda PDF Pro will assist you in creating new PDF files from any files from clipboard content or from your computer. The Convert Module will help you to convert the PDF files into many other file formats. Although PDF is a very fitting and suitable file format but there are some situations when you need to convert the PDF files into other file formats. You can convert PDF files into PowerPoint, excel, word and text files. You can also use Total PDF Converter which is another great alternative. 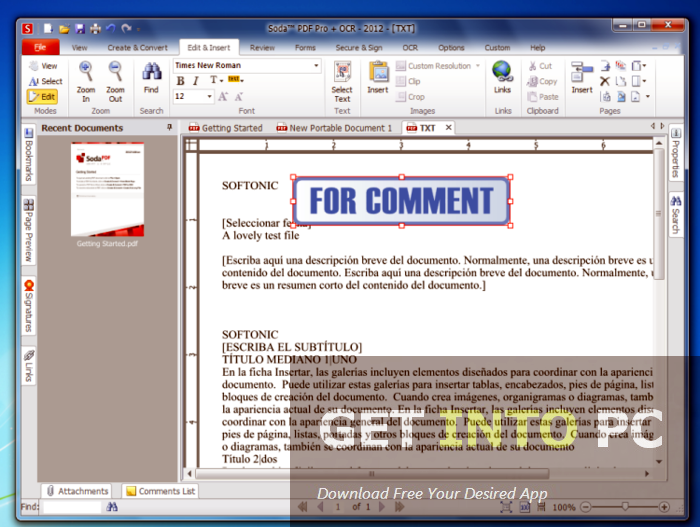 The Edit Module of Soda PDF will help you in editing the content of your PDF files. You can change the font of the text according to your preferences. You can move, replace or delete pages from any PDF files. You can split the PDF files into multiple documents. Edit Module will also help you reduce the file size. You can also create PDF files from a number of file formats like word files, text files and excel spreadsheet. You can also create the PDF files directly from images and scanners. Batch processing is also enabled in Soda PDF Pro which will save much of your precious time. The application will allow you to insert stamps, check boxes and buttons. You can also protect you documents by applying passwords. OCR Module is also there for converting the scanned files into editable text. 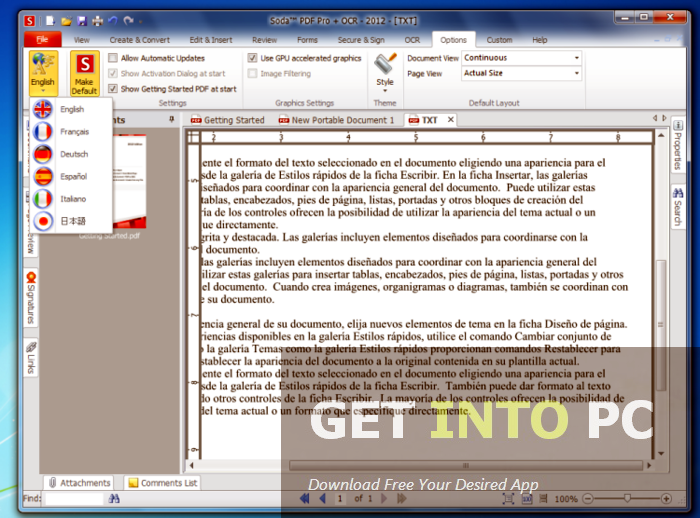 You can also Download Nitro PDF which is another great software. 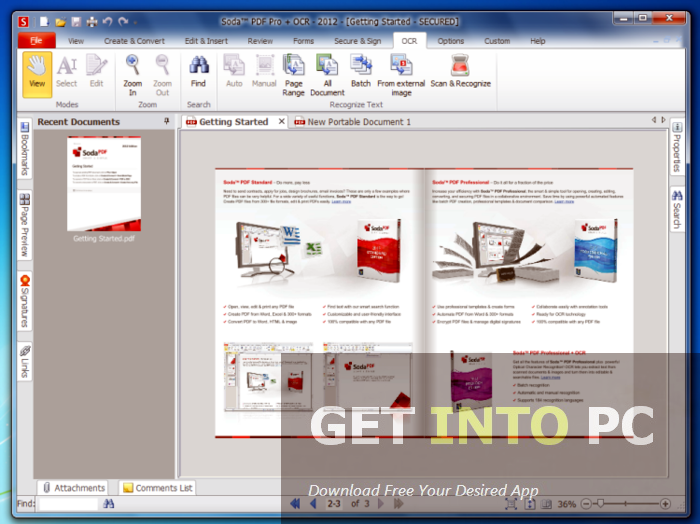 All in all Soda PDF Pro is a very productive tool that will assist you managing all your PDF files. 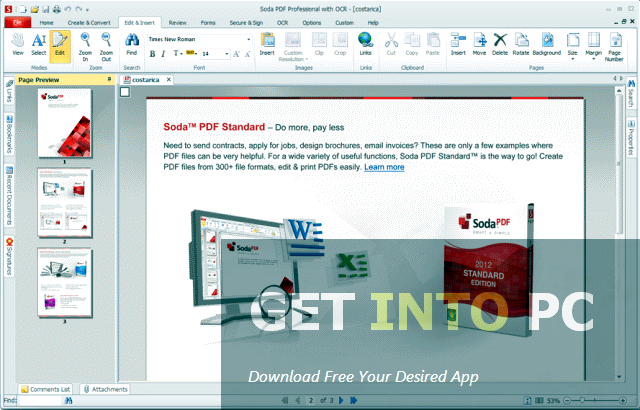 Below are some noticeable features which you’ll experience after Soda PDF Pro free download. 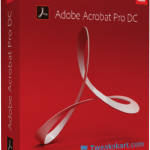 Can edit, convert and create PDF files. Can change the font of the text. Can change the size of the text. Can move or delete the pages of the PDF files. With OCR module you can convert scanned files into editable files. Create PDF files from Excel spreadsheet. Will allow you to insert stamps, check boxes and buttons. 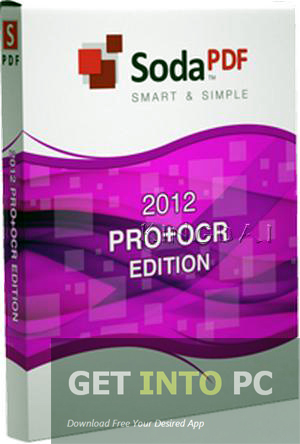 Before you start Soda PDF Pro free download, make sure your PC meets minimum system requirements. Click on below button to start Soda PDF Pro Free Download. 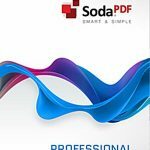 This is complete offline installer and standalone setup for Soda PDF Pro. This would be compatible with both 32 bit and 64 bit windows.